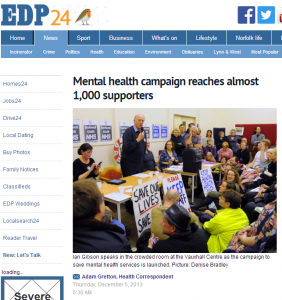 Mental health campaign reaches almost 1,000 supporters – Health – Eastern Daily Press. Started tweeting. Working on listing for our local directory. 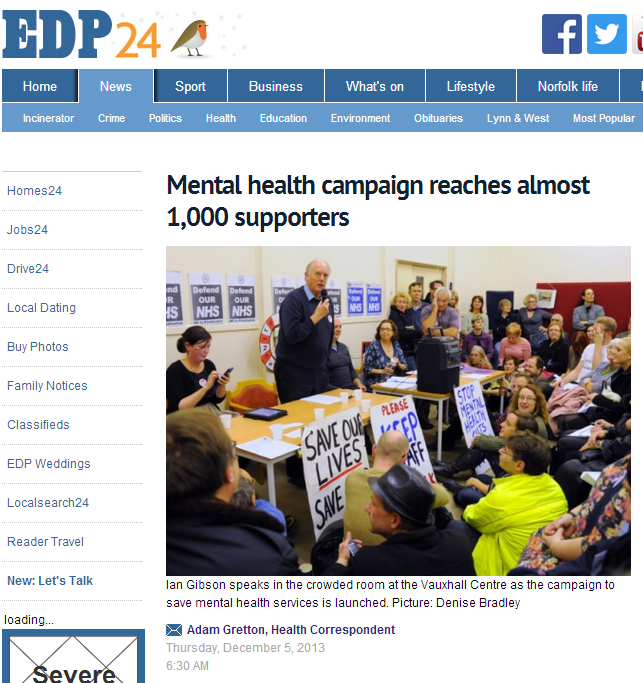 Can I use a Suffolk postcode as our database needs one?